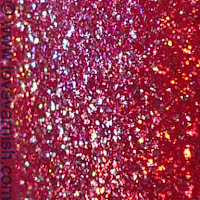 Ahhh, gorgeous gorgeous holo polish, how I love you. How I can not wear your for a few months now :(. Hopefully winter will be cold and therefore sunny! China Glaze will be releasing some awesome new holo's. I hope they really are as awesome as the Kaleidoscope and OMG collection they released in the past! I mean, look at this pretty. 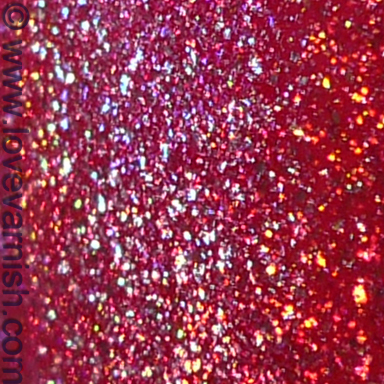 This is China Glaze Tickle My Triangle, and it is full of gorgeous large holographic particles. I needed 3 coats and topped it with Essence Better Than Gel Top Sealer, which DOES NOT, I repeat, DOES NOT dull the holo goodness ♥. I tested on a nail wheel side by side and it really doesn't affect the holographic finish. I am very glad to own a few old skool China Glaze holo's but will most definitely be on the look out for the new ones once they are available! Do you already have some favorites? ooh wee that is pretty! OMG gorgeous on you! I'm not sure why, but my TmT does not look like this! I love holographic nail lacquers, but I have only one. I just discovered China Glaze and hope to get their holographic lacquers in the future. Great pictures! I have the BTGN top sealer too and I like it very much, almost as much as Seche Vite. The only bummer is the opaque bottle. Gahhh.... so pretty!!! I can't wait to see the Hologlams! This has been on my wish list FOREVER!!! Look maxim on you Deb! I hope so too, though the fact they are older and more of a collectors item I probably still want them. Thanks honey! Is it different in shade? Oh yes, the future ones will most definitely be gorgeous (or I hope so). If you scrape down the side with scissors and hold it against a light blub you can kinda see how much is left! Yeah, it's not as vibrant of a pink as yours. I got it from a dusty, though, so mine very well could have been tampered with. Thanks Marisa! I had so much look finding this.